The photo (above right, pic by Val Hope) is the ASSAP blogger himself, out looking for anomalies wherever they are to be found, so that you can read about them here. ASSAP @ 30: A series of posts summarising what we have learned through thirty years of ASSAP, whose anniversary was 10 June. See here! 29 March: It's not your camera's fault! Photographic artefacts are not camera faults! I could stop there but it would probably only increase the confusion that seems to exist on this subject. So here's an example. If you take a photo and it shows an orb, it is not a camera fault! Well, technically it COULD be, but in the overwhelming majoirity of cases orbs are just the camera operating normally, within its design specification. The orb is caused by an out of focus object within the orb zone. It just so happens that, for certain digital cameras which use a physically small sensor (that's the size in millimeters, not megapixels), the orb zone is large enough for orbs to show up unusually frequently. Cameras with a larger sensor, including film models, can still produce orbs but only very rarely. Though orbs are caused by dust, keeping your camera lens clean makes no difference. Nor does keeping your camera's sensor clean (in the case of models with interchangeable lenses). Both of these things are sensible to do but they won't affect the number of orbs you might get. The dust causing the orbs is floating in the air. Unless you are in clean room, you cannot avoid this airbourne dust. So avoiding obviously dusty locations, while not a bad idea in itself, will not stop you getting orbs in your photos. It is not the camera OR the location that causes photographic artefacts. There ARE ways to minimise the number of orbs you get but they involve changing photographic technique rather than keeping your camera better maintained or changing location. For instance, you can avoid the use of flash. If you must use flash, you can make sure there is a subject nearby to take a photo of! Lots of orb photos are largely dark because there is no nearby subject to reflect light. This causes the flash unit to go off for its maximum time, increasing the chances of producing orbs. As I said, photographic artefacts are not camera faults, rather they are the result of certain photographic situations and techniques. If you want to avoid photographic artefacts, you need to avoid the situations that cause them. So, for instance, check that there are no objects, like hair strands, camera straps or tree branches, in front of the camera lens before you take a photo. Check whether your camera is using long exposures, as happens in 'night mode' on certain models. Check if the flash is going off in daylight shots ('fill in flash'). This usually only happens in certain camera programme modes so you may be be able to avoid it by changing mode. Try to use a high resolution, if possible, to improve the way details are recorded. And avoid very low light situations and high ISO settings as both can produce image noise. There are lots of other things you can do. By studying what produces photographic artefacts (see here) you should be able to avoid them. PS: Added a new question to the orb FAQ: 'If orbs are out of focus objects, shouldn't they be fuzzy?' See here for answer. 26 March: Don't look for ghosts when jogging! If a witness starts their statement with 'I was out jogging when ...' beware! In this week's New Scientist they report research that shows witnesses are less accurate when they are physically exhausted. It seems that exercise affects your ability to pay attention to what's going around you. So a statement from a jogger, for instance, is likely to be less accurate than someone just out for a walk! It's yet another factor to be taken into consideration when examining witness testimony. Another problem with witness testimony is that, even when not exhausted, few people notice what is going on around them. I recently observed some Magpies involved in a display to mark the boundary of their territory. 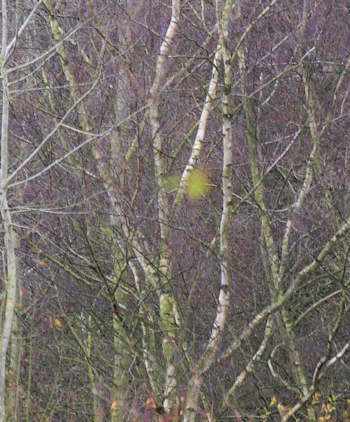 A new pair has just set up a territory near us and, naturally, it has not gone unnoticed by the resident pair. Another passer-by, without my interest in nature might have (a) noticed the Magpies but not know what was going on, (b) seen some birds or (c) not noticed them at all. I suspect most people would have fallen into the last category. There are things going on all around us all the time if we only pay attention and, with a little knowledge, know how to interpret what we see. But, for most people, nature is just something on TV, as indeed is the paranormal, until they witness something weird themselves. But how, without some understanding of what is 'normal', will they know they are seeing something 'paranormal'? I recently felt an unexplained momentary cold breeze on my face. I was indoors alone and none of the usual factors seemed to apply. However, the time of year turned out, unexpectedly, to be relevant. It is early spring and this was the day when, for the first time since last year, I had a window open! I was near the open window, which was clearly the cause of the breeze. It came as a surprise only because, for many months, no such breeze was possible in that place (and I'd forgotten the window was ajar)! Witness testimony remains a problem for paranormal research. However, provided you know its limitations and always look for supporting evidence, like examining the site of an observation, finding other witnesses and trying to replicate effects, it is still an extremely valuable resource. 23 March: Misty ghosts - are they real? That's odd! It was foggy outside but in the space of no more than three minutes it had changed from incredibly murky to just mildly misty! Patchy fog is hardly unusual but, generally, you only come across it when travelling. 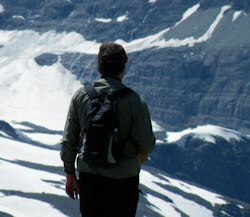 You assume, or I do, that the patches stay still and you travel through them, making for uncertain visibility. Rapid changes in fog density in one place are unusual. That's because fog tends to form in conditions of low wind speeds. But not always. I have come across ghost accounts, particularly involving people driving along roads, which could easily be explained by small dense fog patches. The idea that such patches can sometimes move quite rapidly is worth remembering when examining such reports. Just because a patch of mist moves, it doesn't rule out normal fog! The whole idea of ghosts showing up as mist is an odd one. It appears to come mostly from photos, as there are very few eye witness reports concerning misty ghosts. In photos, misty areas are usually caused by 'photographer's breath' - the condensed breath of the photographer showing up on a cold night. It only appears because a flash is used. The flash is powerful enough to pick up condensed breath even when it is not obviously visible to those present when the photo was taken (particularly in the dark). Other photo mists are purely photographic artefacts, such as an unusually dense clouds of dust orbs. Most non-photographic accounts of mists being perceived as ghosts are fairly easily explained by actual fog or heavy rain! Many of these reports come from people driving at night, where patchy fog is an obvious possible explanation. Overall, there doesn't seem to be much evidence for the existence of actual misty ghosts at all. I suspect the idea is largely derived from media portrayals of ghosts. It may well be a good example of a media representation of ghosts transferring to real life reports (see here). There is little, or no, evidence that any of these reports are anything other than xenonormal. Why do I continue to be fascinated by orbs even after they've been so well explained? I think it is because their arrival on the ghost scene marked a change that ultimately ended in the ghost hunting boom. I was puzzled by orbs when I first came across them, as people new to them continue to be today. But they were soon explained. Indeed, ASSAP was one of the first groups to demonstrate how you could produce them using dust and a camera flash. We even offered a 'have your photo taken with an orb' service at a Fortean Times Unconvention one year. But, instead of vanishing from the scene, orbs became popular with ghost researchers for several years and featured in the early ghost hunting TV shows. It wasn't that people didn't know about the dust explanation, they just thought SOME orbs might just be different! As each 'exception' has been investigated they have all, ultimately, been explained successfully by the orb zone theory. Many such exceptions are listed here, along with their explanation. And the vast majority of serious ghost researchers have nothing to do with orbs nowadays. But it wasn't always like that. For several years orbs were taken seriously by lots of ghost researchers, around the time of the start of the ghost hunting boom. And I think there's a connection. I think what attracted people to orbs then (and still does now for a few) is how easy they are to obtain. No need to bother with long interviews with people who'd actually experienced ghosts. No need even to spend a night in a haunted house watching nothing happen. Instead, just wander round your favourite spooky place at night and take a few flash photos! With many early digital cameras you were practically guaranteed orbs! It was the paranormal made easy! Except orbs weren't paranormal after all but photographic artefacts. There's a similar theme running through the whole ghost hunting boom. Back in the last century (! ), we regarded a ghost vigil as merely an optional extra at the end of a long, thorough ghost investigation. By that point in a case we had most likely explained the reported experience we were investigating. A vigil was just an extremely thin chance of possibly experiencing a ghost. Nowadays a vigil is called an 'investigation'! The implication is that the vigil IS the investigation! Anything you do before that is just background research prior to the real thing! This implies a move away from investigating spontaneous reports of the paranormal towards investigators experiencing stuff. The focus shifts away from witnesses towards the investigators themselves. It implies that seeing ghosts isn't just for the lucky few, anyone can do it. This shift moves us away from following the evidence, that might lead us to finding out what ghosts truly are, towards obtaining 'proof' of their existence and assumed nature. Given that the evidence from spontaneous witness cases does not generally support the idea of ghosts as spirits, which is an assumption of many ghost hunting boomers, it's not surprising that the 'proof' never arrives, in spite of a great deal of effort by lots of people. The fact that the ghost hunting boomers use assumption-led methods means they can never challenge their own assumption that ghosts are spirits. It also means that they will always miss plenty of evidence that IS there to be found. Once the ghost hunting boom is over, will we return to evidence-led investigations? I hope so! Some of us have never stopped. The ghost hunting boom has given the illusion, as did orbs, that paranormal research is easy. It isn't. It is a long hard slog but, if you stick with it, eventually it can be rewarding. I doubt many ghost hunting boomers will stick around long enough to find that out. 21 March: Do foxes know it's Saturday? 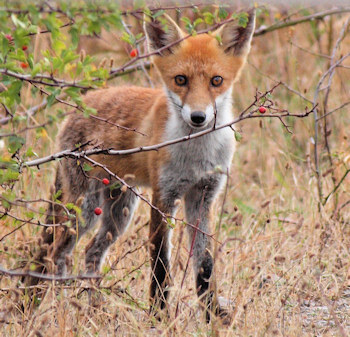 How do foxes know it's the weekend? I frequently see our local foxes and have noticed that they consistently stay out later on weekend mornings. So, have they worked out the days of the week? Probably not. While there is plenty of evidence that animals are aware of the time of year, there is none (that I'm aware of) that they understand the concept of days of the week. There is a simpler explanation for my observation. The foxes are probably choosing to retire when the level of human activity reaches a certain level. Having humans around certainly reduces their chances of finding food. At weekends humans tend to become active later in the morning than on weekdays. So the foxes are just reacting to us! What has this to do with the paranormal? Well, sometimes people claim that an otherwise easily explained phenomenon, like orbs, must be paranormal because it displays intelligence! So, if orbs appear in photos just after someone has requested them to do so, it is often interpreted as intelligence which, in turn, implies they are paranormal. However, given that there is lots of evidence that orbs are a photographic artefact, is there not a simpler explanation? The obvious one is coincidence! It is often observed that orbs appear in one photo but are absent from one taken a fraction of a second later. That's because the dust forming the orbs is in constant movement (carried on thermal air currents - see this video) and the orb zone is small! So, dust can form orbs one second and be gone the next, having left the zone. If an orb appears on average in one in three photos, each taken one second apart, you only need a one in three chance to correctly 'predict' when one will appear. Not bad odds! The important point here is the need to take into account things we know outside the immediate facts of a particular incident. If I knew nothing about foxes, I could reasonably conclude that they did indeed know when it was a weekend, purely from my observations. But by adding in what else I know about animal behavior, there was a more likely explanation. It is the same with the orbs. If orbs appeared in photos 'on command', say 30% of the time, one might conclude they are (or at least some are) intelligent. Knowing, however, that there is compelling evidence that orbs are out of focus bits of dust, insects, water droplets, and so on, makes other explanations more likely. Too often the facts of a paranormal incident are viewed in isolation, as if we knew nothing else about the phenomenon being reported! In passing, if an orb was caused by an insect, it might indeed appear 'intelligent'! If, for instance, the insect had found a food source, it might return there repeatedly. The resulting orb, when the insect was photographed out of focus, would appear to be attracted to a particular place. That's because insect orbs are indeed intelligent, just not paranormal. You are on a ghost vigil. There IT is - a ghostly figure appears right in front of you! Holding your breath, you press your 'master button'. With relief, you see that everything is working. Three video cameras, viewing the scene from different angles, start recording. In addition, three still cameras start firing continuous shots, several frames per second. You use your remote control to zoom in on the figure. Then you wake up with an unaccountable feeling of disappointment! You remember that you really ARE on a ghost vigil. And looking ahead you see that there really IS a ghostly figure in front of you. Unfortunately, all you have to hand is your personal camera and there's no one else nearby. In the semi-darkness you look through the viewfinder but can't see the figure. You check if it is still there, with your naked eye. It is! You point your camera at the figure, press the shutter and hope. At first the camera refuses to shoot because it cannot focus in the low light. You wonder if your camera's orange focus lamp might make the ghost disappear! So, you switch to manual mode and shoot anyway! Unfortunately, the resulting photo, the only one you got before the figure vanished, is out of focus, very dark and full of image noise. The photo shows something there but it's difficult to say what. Most photos taken on ghost vigils are 'one-offs'. That is, a single shot instead of a series taken around the same time of the same scene. And, in most cases, they are not of ghosts or even anything weird. In almost every case where something weird is found on such a photo, it was not seen with the naked eye at the time of the exposure. Straight away, this suggests that most such photos are likely to be photographic artefacts. Worse, it is difficult to analyze a one-off photo, unless it contains an obvious photographic artefact. One possible solution to this problem may seem a little radical and counterproductive - don't take one-off photos on vigils - ever! It would be better to take several photos at once of a particular location, ideally from several angles and with different levels of lighting. Then, if anything appears in one of the photos, you can compare it with the others. This will make analyzing the photo much easier. Or, best of all, go for the dream scenario described above! Recently, noisy ghosts have invaded photographs in ever increasing numbers! To be precise, there are growing numbers of anomalous photos being reported which contain a lot of image noise. And people are reporting ghostly faces and figures in this noise though, as is often the case, not everyone can see them. 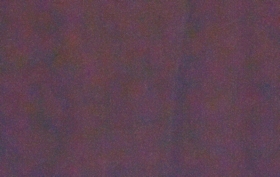 Image, or electronic, noise shows up as non-real variations in lightness or colour. It can produce apparent images of objects that are not actually there, and sometimes hide things that really are! 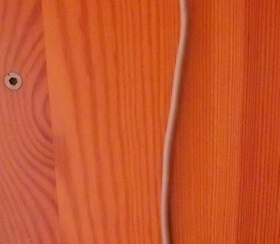 In the example below, the same piece of wood, with a wire hanging in front, was photographed at (left to right) normal exposure, under-exposed and heavily under-exposed, all at a high ISO setting. All the images are in focus and there was no camera shake. 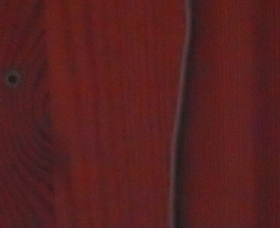 In the first (left-most) image you can see the wood pattern well. In the second image, some detail has vanished and the shadow on the right side of the wire has become exaggerated. There are also some 'new' features apparently present, showing up as subtle horizontal bands intersecting with the vertical wood pattern at various places. In the final picture, the metal stud on the left of the photo has vanished while even the hanging wire is difficult to see. 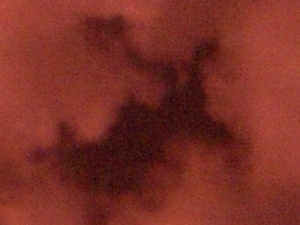 There are also now various vague dark blobs visible around the image that were obviously not present in the original, normally exposed photo. In addition, you'll notice the there are lots of tiny areas of false colours everywhere. This last feature, lots of 'fine grained' false colour, is a good indicator of electronic noise. Electronic noise is most likely when photographing or videoing very dark scenes. The darkest area of an image will show the greatest degree of noise. Using a high ISO setting will increase the level of noise in all photographs, even those that are well lit. Digital cameras vary a lot, from model to model, in their susceptibility to electronic noise. Blobs, bands and other vague shapes seen in areas of high noise in a photograph are highly likely to be spurious. Though some people have interpreted such amorphous shapes as ghosts, such spurious detail can frequently be eliminated by removing noise with photo editing software. With the worst levels of noise (like the right-most photo here) this is not possible as there is too little of the original image left to recover. Attempts at 'enhancing' such images will actually produce new spurious 'detail'. In short, you cannot trust the detail in highly noisy photographs to be real. If you think you see a ghost in such noise, unfortunately it cannot be relied upon as evidence. PS: Hard to believe, I know, but I STILL occasionally come across serious paranormal researchers who aren't totally convinced that all orbs are photographic artefacts! It is an example of the way that paranormal beliefs, even when they are convincingly shown to be wrong, never entirely go away. 9 March: How did you get that picture? Anomalous photos now have two main sources where there used to only be one. Years ago, we usually only received anomalous photos, for comment, from members of the public. Generally, someone had taken a photo and later, when it was developed (OK, that's a long time ago!) or when they got home, they found something odd that had not been noticed at the time of exposure. Much more rarely, they actually had deliberately photographed something they thought to be paranormal. Oddly enough, when people take photos of things they regard as paranormal, the results are often very disappointing - nothing weird at all! Now there is another big source of anomalous photos - active paranormal investigations. Unlike spontaneous photos from the public, these pictures were taken deliberately in the hope of capturing the paranormal. And in many cases they were not taken like your average snap. Many are taken in the dark on vigils, for instance, with little or no illumination! This will result in a lot of electronic noise which can, when excessive, give rise to spurious images. It is important, if you hope to understand such a photo, to know how it was taken. It's the same with videos and sound recordings. In many cases unusual techniques were used to obtain such recordings. For instance, in trying to capture EVP some people deliberately have noise playing in the background. Some apparently anomalous noise may result from people handling active sound recorders (see here)! So when we try to replicate a reported phenomenon (see here), it is important to know (a) if the witness was actively pursuing something paranormal and (b) if they were using any special techniques to do so. In particular, it is important to know if any assumption-led methods were used (see here). We need to replicate any active technique that the witness was using! Some of these techniques produce 'positive results' even in the absence of any paranormal agency. And replicating them can reproduce xenonormal causes of apparently paranormal phenomena. In these 'ghost hunting boom' days, we can no longer regard all witnesses as passive observers. In many cases they may be actively creating apparent phenomena by what they're doing, albeit unintentionally. By replicating how a particular photo was taken, for instance, we may be able to see that a photographic artefact was highly likely, even inevitable. We need to ask not only 'what did you experience' but also 'what were you doing at the time?' We have moved into the era of the 'active witness' and need to take it fully into account. PS: The photo? A gap in clouds taken in infrared with lots of image noise. It's not easy to guess what it might be without knowing how it was taken. Full spectrum cameras are a hot topic among paranormal researchers these days, if the web is anything to go by. These cameras are sensitive to electromagnetic radiation beyond the visible, into the near infrared (IR) and a small part of the ultraviolet (UV) spectrum, as well as ordinary light. Though there's no compelling body of evidence suggesting ghosts, for instance, are visible in IR or UV, that's not surprising. After all, there is only a tiny amount of IR and UV photography done, compared to the ordinary visible light variety. However, in the spirit of scientific enquiry, there is no reason why people shouldn't use these non-light wavelengths to look for paranormal phenomena. Who knows what is there waiting to be discovered! While I can see how full spectrum photography has applications in art, agriculture and mineralogy, I can't understand why it is considered useful to paranormal research. Even just considering visible light, there are all sorts of photographic artefacts that can give rise to anomalous photos (see paranormal photos). All of these apply in full spectrum photos in addition to the peculiarities of IR and UV photography. Consider IR photography, for instance. 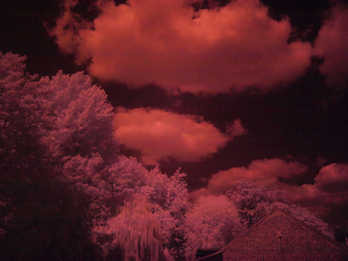 In IR photos, things look different to familiar visible light photos (see photo above showing trees and sky in infrared). Objects reflect IR to a greater or lesser extent than visible light, so things can look darker or lighter compared to visible light. In addition, some things can look more transparent or more opaque. All of this means that we need to understand what 'normal' infrared photos look like before we can decide if we have anything truly anomalous, far less paranormal. Then there are specific issues with IR photography. For instance, there is more lens flare to cope with when using IR because the anti-reflective coatings on lenses and filters are not so efficient at those wavelengths. Also, using IR wavelengths in your photos will give your pictures a red colour cast (like the photo above) so making colours that normally contrast blend together. This can cause objects to apparently vanish against their background! In science we normally try to reduce the number of variables in an experiment. This is so that it becomes easier to identify anomalies and see how variables are related in a simple system. By combining three different wavelengths, as happens in full spectrum cameras, you are increasing the number of possible natural causes of an anomaly. Instead of reducing variables, full spectrum photography multiplies them. This makes analyzing a full spectrum photograph problematic. There seems no obvious advantage to combining three wavelength bands rather than concentrating on one. If ghosts are visible in IR or UV, then a camera designed to pick up just that wavelength band should find them perfectly well. Indeed, if a ghost is only visible in IR, say, it should look sharper in an IR photo than in one that has lots of other wavelengths present! So while I can see the case for IR or UV photography in looking for paranormal phenomena, I am a bit baffled by the popularity of full spectrum cameras. I think a set-up where you had three cameras, one sensitive to light, another to IR and the third to UV, all pointing n the same direction and synchronised to take photos together, sounds a much more interesting proposition. Imagine if you saw a spooky figure in one of the camera shots but not in the other two, taken at the same time. It would be compelling evidence of something weird! The same photo taken with a full spectrum camera would be ambiguous and might well be dismissed as just an artefact. 2 March: What's that sound? If you listen to this sound, what do you think it might be? 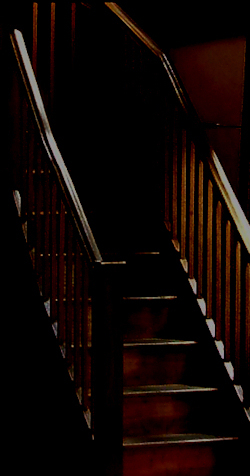 In many hauntings it it typical for there to be reports of sounds associated with the presence of unseen people, like whispering, footsteps or talking. However, in a few cases there are the sounds of machinery running, even though it is no longer operating, or has even been completely removed from the scene. One example is the sound of phantom trains heard where none are operating. This isn't limited to operational railways but also places where they have long since gone forever. There are very few such recordings of phantom machinery around. Some originate with people capturing weird noises, suggestive of machinery, during vigils, while they were trying for EVP. Indeed, some people regard it as either a related phenomenon, or even the same thing, since the machinery sounds were not heard by anyone at the time of the recording. What are we to make of such reports and recordings? In many cases the sounds probably resemble machinery but are actually caused by something else. That would make them a form of aural misperception. With so few samples around to examine, it is difficult to say. Finding the origins of an unknown sound is even more frustrating than analyzing an anomalous photo. At least with a photo you have something to look at! All you can do about a sound is examine the scene, where it was reported or recorded, in the hope that an obvious cause presents itself. In fact, the recording here is the sound of fingers gently holding a sound recorder. The sounds of slight hand movements are transmitted strongly by the case of the recorder but inaudible to anyone standing nearby. Although it is always recommended that people do not hold instruments during paranormal research, inevitably some do. Holding EMF meters, for instance, can induce electrostatic interference producing false readings. In addition, holding the meter inevitably means you move it around. Such movement means you cannot compare readings over time because changes may just be due to being in different positions, without the actual electromagnetic field present altering at all. The recording here is interesting in being fairly typical of those from haunted locations. Firstly, it is faint, with background noise clearly audible before and after. It is also 'isolated' from its expected background. By that I mean there is no other noise that you might expect to accompany it. If it was really a steam locomotive, you might expect to hear the sounds of a moving train too. Finally, it appears suddenly and vanishes just as abruptly. These are typical aspects of such 'ghost machinery' recordings. It is always worth asking anyone who presents you with an anomalous reading or recording if they handled or moved the instrument at any time. If they did, that could well be the cause of the anomaly! 1 March: The most popular meaningless question? Do you believe in ghosts? I think this has to be a strong candidate for the most meaningless question that is ever routinely asked. The answer, obviously, depends on the definition of 'ghost' and there are quite a few of those around. So it's almost impossible to understand what any answer might actually mean. Consider, for instance, the people who say they do NOT believe in ghosts, when asked. Are they saying that the millions of people who've reported seeing ghosts through the ages were mistaken? Or deluded? Or lying, maybe? Or are they saying that they don't believe ghosts COULD exist, on theoretical grounds? Or that ghosts could exist, but don't? So how did such a spectacularly pointless question ever become so popular? Honestly, I've no idea! What if ... I'm not keen on 'what if' scenarios which examine how history might have developed if some event in the past had turned out differently. As I see it, we are where where we are, like it or not, and we just have to deal with it. But sometimes, asking 'what if' can tell you something useful about your current situation. Take the ghost hunting boom, for instance. Could it still have happened if, instead of a widespread belief that ghosts are spirits, there was one that ghosts are actually some kind of 'recording' of past events, accidentally replayed occasionally? The evidence from ghost cases does, after all, support the 'recording' idea of ghosts much more readily than it does the idea that they are spirits. I can see how a 'mini ghost hunting boom', revolving around the 'recording' idea, could have occurred. It is, after all, quite an exciting idea. If ghosts are recordings it would mean we could have a way of seeing people from the past in an totally authentic way, not just through paintings, descriptions and archeology. And, if we worked out how these recordings worked, it could be the start of some spectacular technology. It might be possible to deliberately replay fainter recordings by 'stimulating' walls or the ground to reproduce whole historical scenes. And what about creating new recordings? Think of the possibilities for immersive video games. It could be a bit like the 'holodeck' on Star Trek. But I don't think such a 'recording' boom would be as big as the current one. That's because the idea that ghosts are spirits taps into fundamental ideas of immortality which transcend mundane physical reality. Such ideas are more fundamental and exciting than fossilized videos. And the 'bigger' an idea, the more people want it to be true! That probably explains why, despite all the ghost hunting going on and the lack of any resulting compelling evidence supporting the spirit idea, it still survives unbowed. I guess some ideas are just too appealing to ever be dropped, whatever the evidence, or lack of it! Last month's (February) website figures are an average of 14845 hits per day. This is considerably up on the previous month's 11587 daily average as well as on Feb 2011's average of 8248!